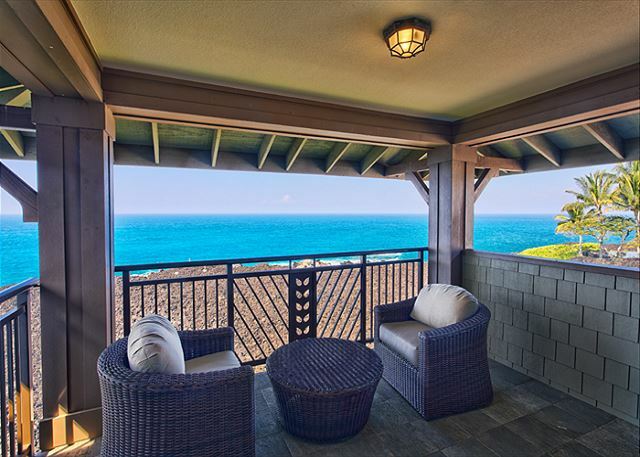 Halii Kai 14G is one of the few oceanfront villas on the Big Island of Hawaii. 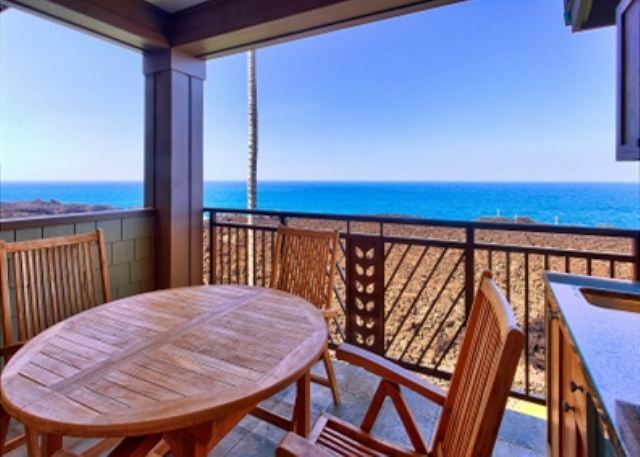 This villa offers a magnificent view and during whale season you can see the whales frollick from the lanai. 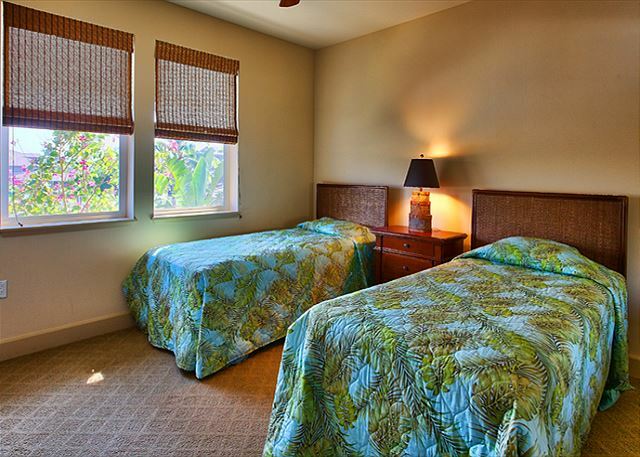 Don't miss out on this opportunity to stay at one of the prime villas at Halii Kai! This villa offers it all from big screen LCD television to endless ocean views. Just a few steps from this villa is the amazing Halii Kai Ocean Club. The living area is very nicely furnished with a large couch and a big screen LCD television and DVD player. The dining area has a table with four chairs. The gourmet kitchen is very nicely furnished and well stocked. All the kitchen appliances have been upgraded. Enjoy ocean views from all these rooms. The lanai is right off the dining room and has a table with chairs. 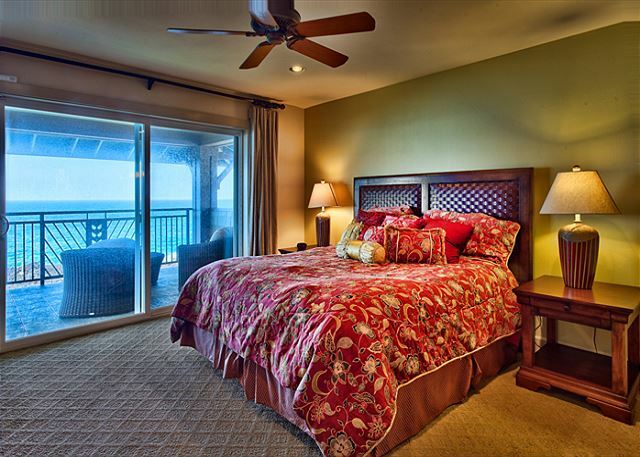 As you travel upstairs, you will reach the master bedroom and the first guest bedroom. 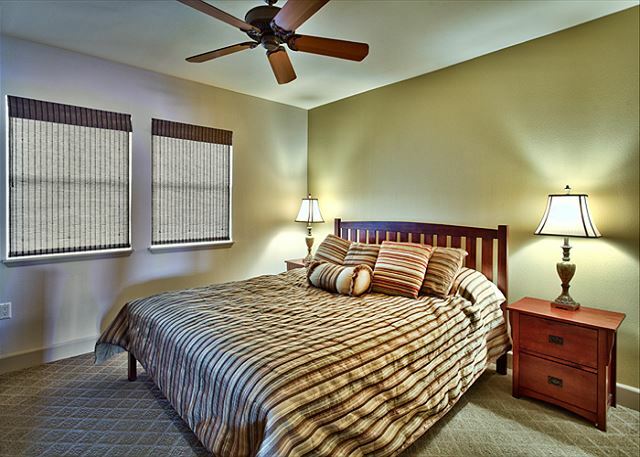 The master bedroom is very spacious and has a king size bed with a LCD television with a DVD player. Enjoy watching the whales frolic in the ocean from your bed. 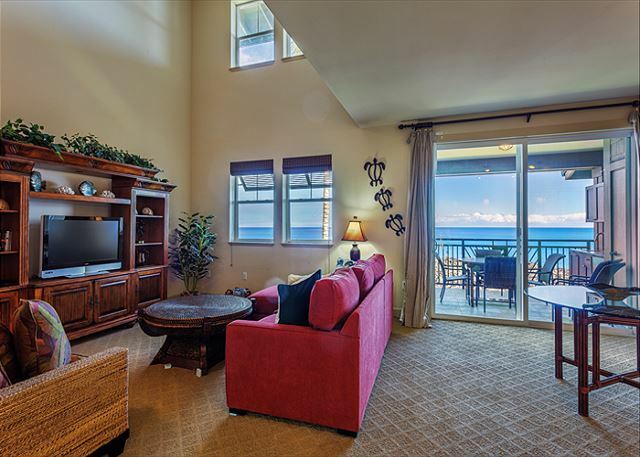 The lanai off of the master bedroom offers a wonderful space to sit and enjoy nothing but ocean and the Hawaiian breeze. The master bath has a large walk in shower with a deep soaking tub. The first guest bedroom has a queen size bed. The guest bathroom has large walk in shower. Also located downstairs is the second guest bedroom with two twin beds. The second guest bath has a bathtub with a shower. There is also a laundry room with a large washer and dryer. Enjoy high speed internet access and Luxury Linens during your stay at this wonderful villa. Location, location, location. 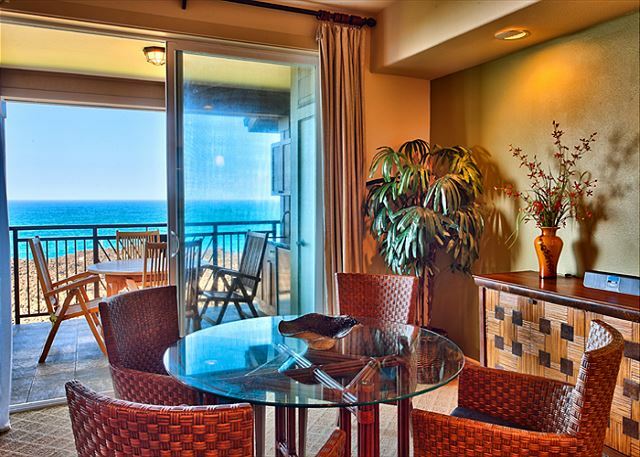 This oceanfront unit has the most amazing view. The property management company is so responsive and easy to work with. Halii Kai is a beautiful and well-maintained resort with private villas to make your Hawaiian vacation perfect and blissfully relaxing. 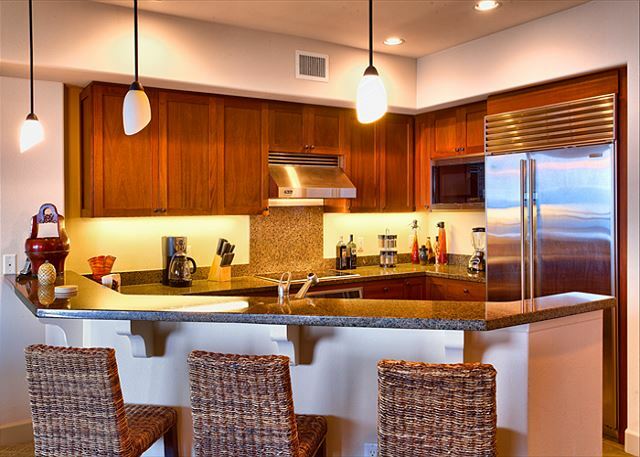 Halii Kai is next to the beach and located in the center of Waikoloa Beach Resort, providing all villa and condo renters with the ultimate Hawaiian vacation experience. Each rental in Halii Kai provides privacy for families, large and spacious rooms, different amenities of home, such as washers and dryers and large kitchen spaces, daily housekeeping services, and most importantly amazing views of the beach, ocean, and garden. Halii Kai provides instant access to the wide span of activities and relaxing enjoyment vacationers are looking for in a Hawaiian get-away. There are special rates for Halii Kai golfers, snorkeling off of Kawaihae Harbor, luxury shopping at the Queen’s MarketPlace, horseback riding, swimming, spa treatments, and much more. For a premier experience on your Hawaiian vacation, come visit the paradise that is Halii Kai.